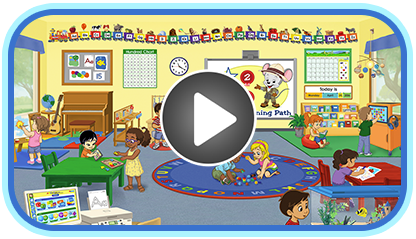 ABCmouse.com’s pre-k music and songs curriculum includes a large collection of children’s songs that teach many important topics, ranging from the alphabet and counting to the days of the week. There are also activities that teach children about various musical instruments. A unique feature of ABCmouse.com’s pre-k music curriculum are our Letter Songs A to Z collection, including songs in virtually every musical style.